Who wants to break out their straight edge ruler and pen just to put together a Sports Pool Grid? That's so primitive. 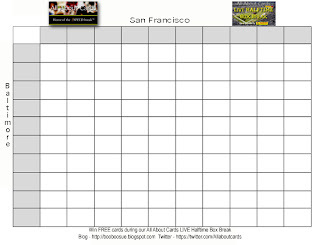 How about a PDF with a grid already good to go for Sunday's Super Bowl. No Fuss, no muss. Just click on the picture to get to the PDF. I know I'll be using this grid at my Super Bowl party. Two of them to be precise. One for my friends and office co-workers. The other for the good folks that read this blog, or follow us on Twitter, or like us on Facebook. Yeah, you read that right. Anyone who follows us in one of those three places and leaves us their prediction for the final score of the game will get a square on our Blog Pool for free, gratis, or any other synonym or language you want to use for "we are giving them away." 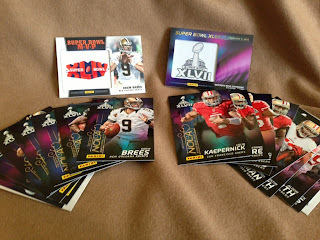 Do that and you could wind up with some cool cards from any of these boxes provided to us by Panini America. Or even some of these Panini exclusives that you can only find at their booth, right now, in NOLA. Here's a link to our previous post with more details on how and where you can leave your predictions. Just make sure you complete steps 1 and 2. We will have more information on how you can catch our live halftime show to should be posted by Saturday Afternoon so please check back then, And if you don't want your shot at any cards, please enjoy this pre-made grid and the game on Sunday. 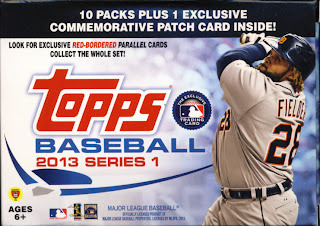 To see our review of 2013 Topps Baseball Series 1 Trading Cards, use this link. 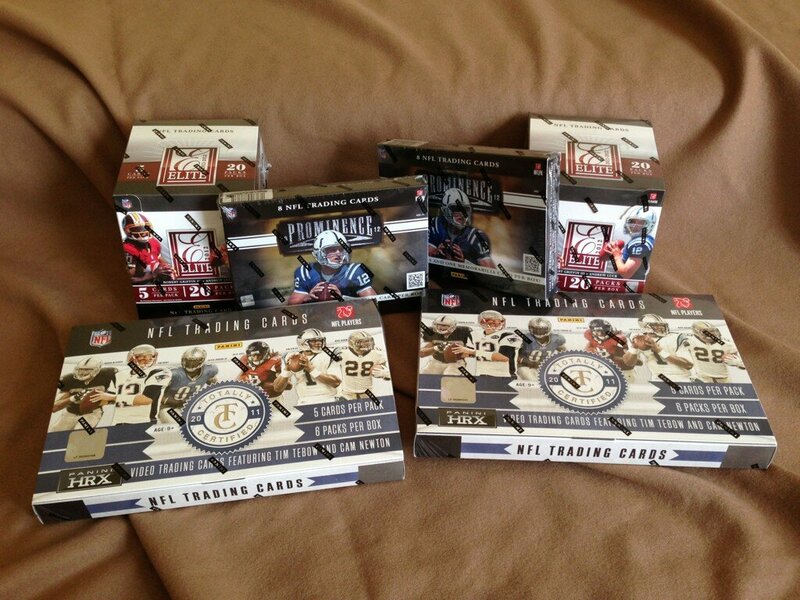 To see our review of 2013 Topps Baseball Series 2 Trading Cards, use this link. Baseball card collectors are always ahead of the curve. While the rest of the nation waits until Saturday for a groundhog in Punxsutawney, card collectors already know spring is near because 2013 Topps Baseball Series 1 has been released. 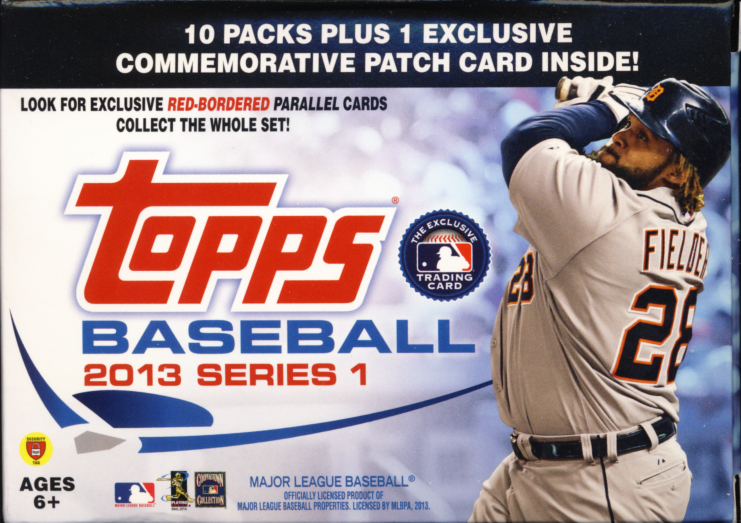 Here is everything you need to know about 2013 Topps Baseball Series 1 in one place. 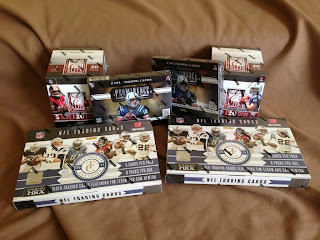 Here is our first baseball box break of the year. This is not your normal break. You wont see our signature visual checklist or box recap. We wanted to get this break up as fast as possible.